It’s always a good idea to keep a backup of your important data, including Skype contacts. 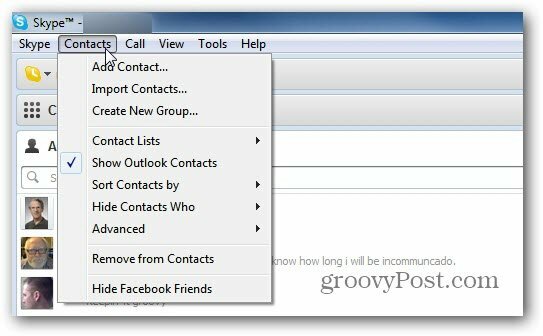 Skype contacts are saved in the cloud and retrieved from it’s servers. But what if you lose your Skype ID or any other unexpected event happens? I have seen it happen before, and recommend that you backup your Skype contacts on your local computer. Then, you can easily import/export your contacts. First, Log in to Skype and go to Contacts. Next go to Advanced >> Backup Contacts to File. 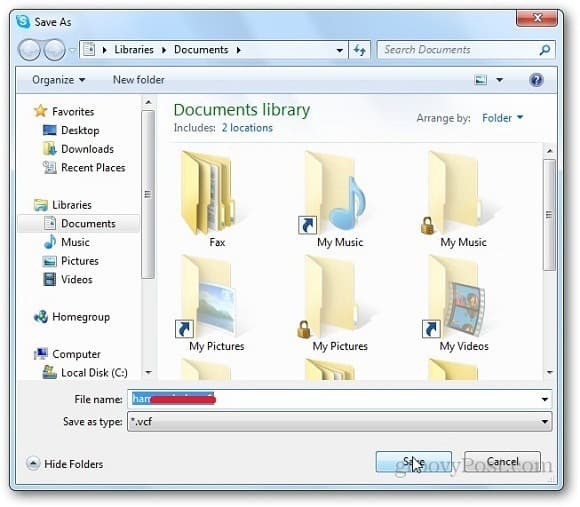 Select the location where you want to save the file and click Save. You can save it to a network, external or local drive. Or on a thumb drive…wherever is convenient. 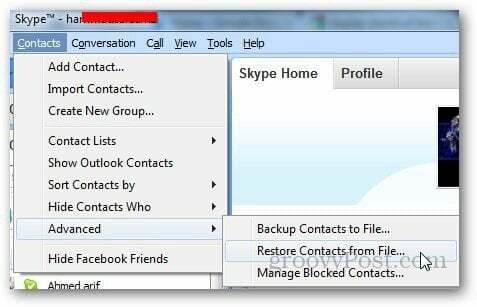 Now that you have the backup of you Skype contacts, here’s how to restore them if disaster strikes. 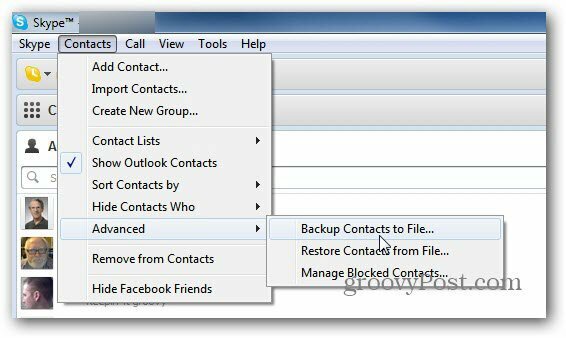 Go to Contacts >> Advanced >> Restore Contacts from File. 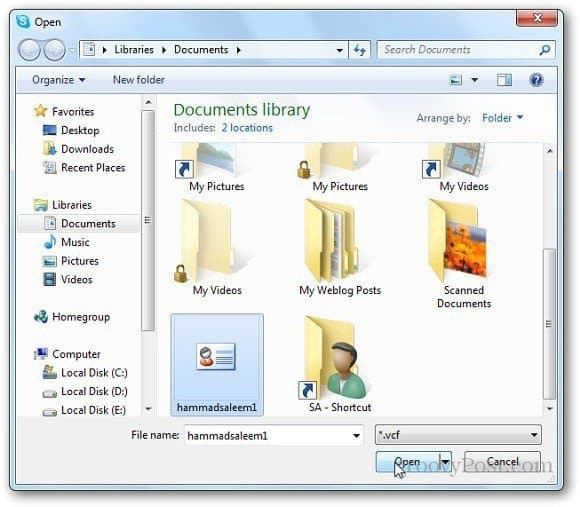 Browse the location of the backup file and click Open. All of your contacts will be imported back into Skype and you can continue to communicate — delegate, and get things done. Hi Hammad, thanks for the article but contacts are restored when i sign-in to skype on a new computer. I did it in a couple of mouse clicks.